Located about halfway between San Francisco and Los Angeles, the Paso Robles American Viticultural Area (AVA) takes in a sprawling, western landscape of rolling hills, rugged mountainsides and Pacific Ocean coastline. The area is so large and diverse that it now encompasses 11 smaller AVAs, including the Adelaida District and Templeton Gap District. Sun- and heat-loving Zinfandel was Paso Robles’ first calling card, and some of the state’s best are still found here. A second wave of wine production in the region saw Bordeaux varieties like Cabernet Sauvignon come to prominence. But recent years have seen the burgeoning prestige of what is known as the “Westside”—west of the town of Paso Robles itself—where the flat plains east of town give way to the steep hillsides of the Coast Range, and temperatures are moderated. These vineyards are among those that have led the charge for the Rhône-style wines, like Syrah, Viognier and blends featuring Grenache and Mourvedre, that are enchanting many wine lovers. In the southwest, the fog and Pacific breezes coming through the Templeton Gap, have influenced the vineyards, which produce wines—including Pinot Noirs—that have a cool climate freshness and acidity. Enjoy the elegance of Anna’s Estate Vineyard expressed in two Rhône style wines. 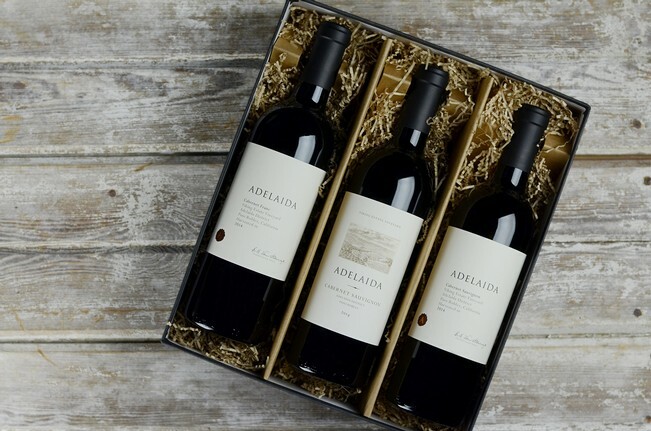 The Anna's gift set includes: (1) Anna’s White Signature Anna's Estate Vineyard 2014 (90 points, Robert Parker’s Wine Advocate) and (1) Anna’s Red Signature, Anna's Estate Vineyard 2014. Enjoy two wines from our legendary, 52-year-old HMR Estate Vineyard. 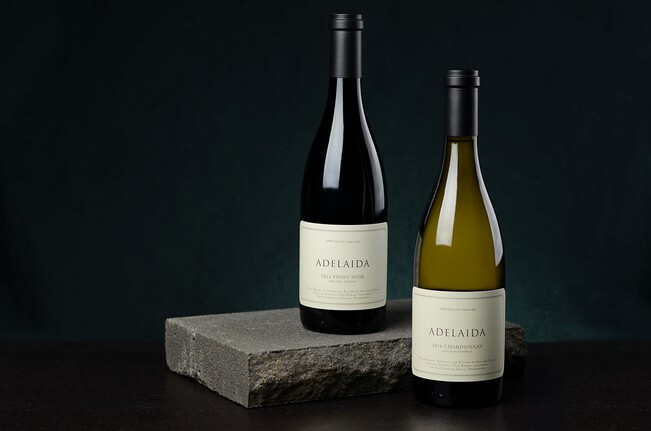 A stunning duo from an inspired and historic Paso vineyard. 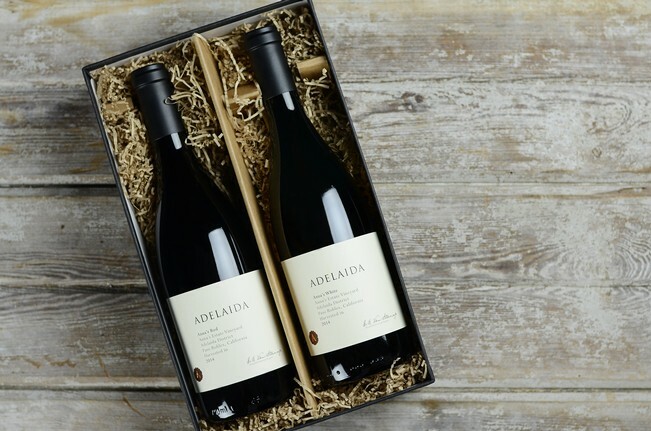 The HMR gift set includes: (1) Chardonnay, HMR Estate Vineyard 2014 and (1) Pinot Noir, HMR Estate Vineyard 2014. As we wrapped up the month of October the days descend into full autumnal splendor. The pumpkin patches are overflowing, the leaves are turning color, and the 2016 Adelaida Harvest is at an end. We are absolutely thrilled with this year’s harvest. 2016 saw several unique challenges from yet another drought year, summer storms, and wildfires at our front door. And still, yellow bins of magnificent handpicked fruit rolled into the winery, day after day. From six Estate vineyards, 157 acres, and two months of backbreaking labor, a promising 275 tons of fruit was harvested. The first pick of Muscat Blanc came in on August 16th, and the Adelaida crew raised bubbling glasses of 1984 sparkling Adelaida Pinot Noir to christen the harvest season. [insert pic from our toast]. This harvest lasted longer than past years, just over two months, which gave us a longer ripening season. The last grapes, Grenache and Petit Verdot, came in on October 19th, ending the picking stage of harvest. While every varietal showed up to play, each team has its all-stars. Cabernet Sauvignon, Syrah, Mourvedre, and Zinfandel all have stood out. Each varietal shows tremendous vibrancy and depth of character. Cabernet Sauvignon is arguably the 2016 Harvest MVP-Most Valuable Player. The Cabernet shows great potential with skin color, cluster size, and fresh ripeness. Every year’s harvest faces challenges, farming is an arduous endeavor. 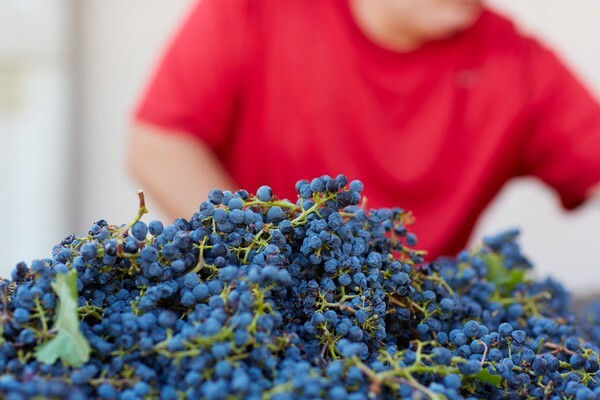 For the 2016 Harvest, Winemaker Jeremy Weintraub was most surprised with “the health of the vines despite six years of drought.” Moving on from the harvest season, the fermentation and aging stages will commence. The cellar crew are busy transferring wine from oak, concrete, and steel tanks to barrels for the ageing process. In regards to the entirety of the harvest, in Jeremy’s words, 2016 was “exhausting, but very rewarding! We’ve got the most professional and committed crew at Adelaida.” With such an astounding harvest, we are excited to see how the wines age and develop over the coming years.